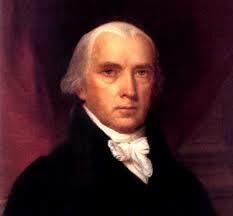 James Madison defended the separation of church and state. On his Founders Friday show of 6/11/10, Glenn Beck turned his focus to James Madison, the fourth President of the United States, and the man most closely associated with the writing of the U.S. Constitution. What is perhaps lesser-known is that Madison was a devout Christian, far more so than his predecessors in the White House. 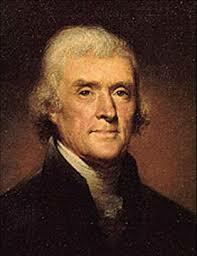 His immediate predecessors; Thomas Jefferson and John Adams, were in factDeists, who rejected the miracles attributed to Christ. Jefferson took a razor, and cut up the New Testament, removing all references to miracles, the Virgin Birth, and the Trinity. This book is still available today, as The Jefferson Bible: The Life and Morals of Jesus of Nazareth. 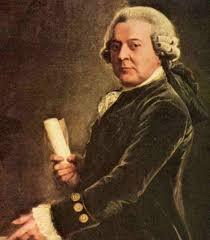 “Ridicule is the only weapon which can be used against unintelligible propositions. Ideas must be distinct before reason can act upon them; and no man ever had a distinct idea of the trinity. It is the mere Abracadabra of the mountebanks calling themselves the priests of Jesus.” and “I am of a sect by myself, as far as I know”. James Madison harbored no such beliefs. A true Christian, and a pious man, his religion is often used against him by historical revisionists such as Beck and his guest, James D. Best. author of Tempest at Dawn, a novel. Best claimed on Beck's Founders Friday that Madison "constantly was pushing for religious freedom, but to him religious freedom wasn't separation of church and state. It was the government staying out of religion." What a perplexing statement. At first glance it makes no sense. Madison "constantly was pushing for religious freedom, but to him religious freedom wasn't separation of church and state." Well Madison certainly did not support their union. Mr. Best treads a hair-thin line here, on that borders on the absurd. And Beck agrees with him, saying, "We have so misinterpreted that." Well, Mr. Beck, that was easy to do. There are still those who will point to the fact that Madison allowed a public prayer to be said during the War of 1812. He did this under extreme pressure, after refusing to do so previously. Nonetheless, he held to his stated belief that chaplains shouldn’t be appointed to the military, or allowed to open Congress. Today, we do allow chaplains in the military, and every legislative meeting of Congress begins with a formal prayer, led by the official Congressional Chaplain. This is the precise intermingling of church and state that Madison so strongly disapproved of. James Madison did not merely want “the government staying out of religion” as Mr. Best claims. He wanted religion staying out of the government as well.